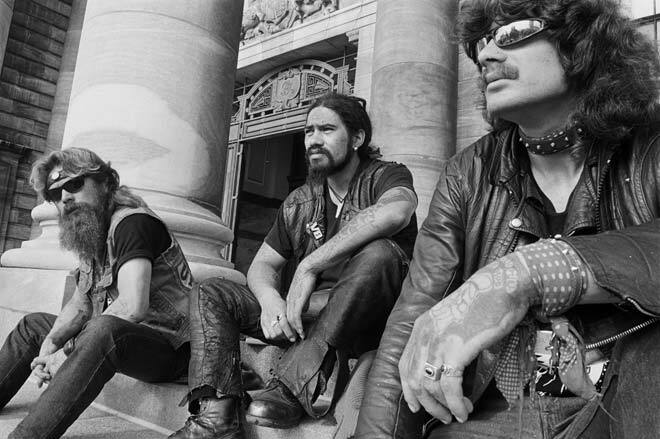 Tuta Ngarimu (centre) and two supporters sit on the steps of Parliament in 1987. Ngarimu was then on the 63rd day of a hunger strike against conditions in Paremoremo Prison. The longer hair, beards and moustaches worn by the three men were relatively unusual at this date.